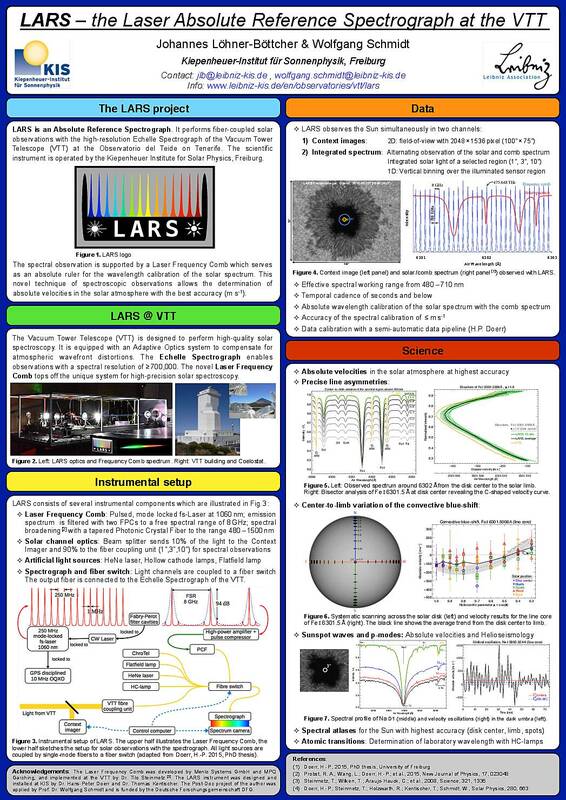 LARS is an Absolute Reference Spectrograph. It performs fiber-coupled solar observations with the high-resolution Echelle Spectrograph of the Vacuum Tower Telescope (VTT) at the Observatorio del Teide on Tenerife. The scientific instrument is operated by the Kiepenheuer Institute for Solar Physics, Freiburg. The spectral observation is supported by a Laser Frequency Comb which serves as an absolute ruler for the wavelength calibration of the solar spectrum. This novel technique of spectroscopic observations allows the determination of absolute velocities in the solar atmosphere with the best accuracy (m s-1).